Madera™ Paving is available in either Birch or Oak shades. This beautiful, lightweight long aspect paving looks just like traditional timber, but is in fact made out of porcelain. As such, it offers all the natural beauty of real wood, without any of the associated maintenance issues. 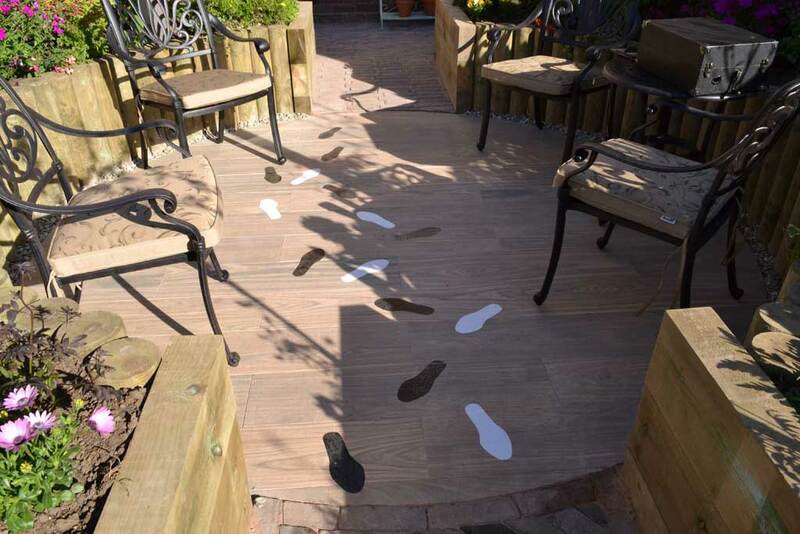 We chose the Oak shade, as we wanted to recreate a circular “dance floor” for Iris, who is a keen ballroom dancer. 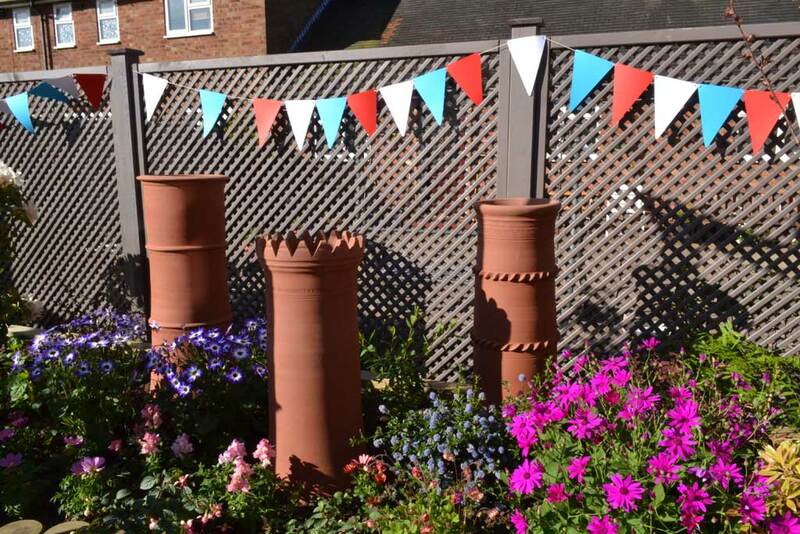 With its slip-free properties and the fact that it’s low to no maintenance, this was the perfect material for her garden. UK Water Features carry a huge range of indoor and outdoor water features. This particular model is manufactured in America by Massarelli, who themselves have an extensive range of fountains and water features. Massarelli have a skilled team of fine artists, sculptors and mould makers who are all trained to the highest standards and produce exceptional products using state of the art equipment. This water feature includes an integral pump which will require an external power supply. As well as dancing, Iris is a keen bird watcher. 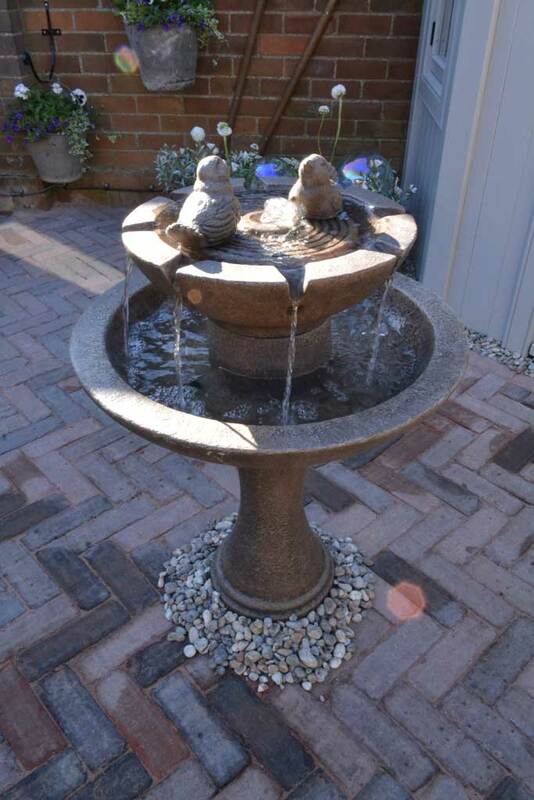 Alan and the team loved the birds on the water feature, so Iris now has the sight of birds and the sound of the cascading water, while she spends time in her new garden. Alan and the team wanted Iris to have a beautiful large new shed to replace her old shed, which had seen better days. The new shed had to function as a place to store her garden tools and also needed have space for a table and chairs, so she can entertain guests. Naturally the team gravitated to the Posh Shed Company, whose Bespoke Corner Shed fitted snugly into the corner of this small garden and maximises space. 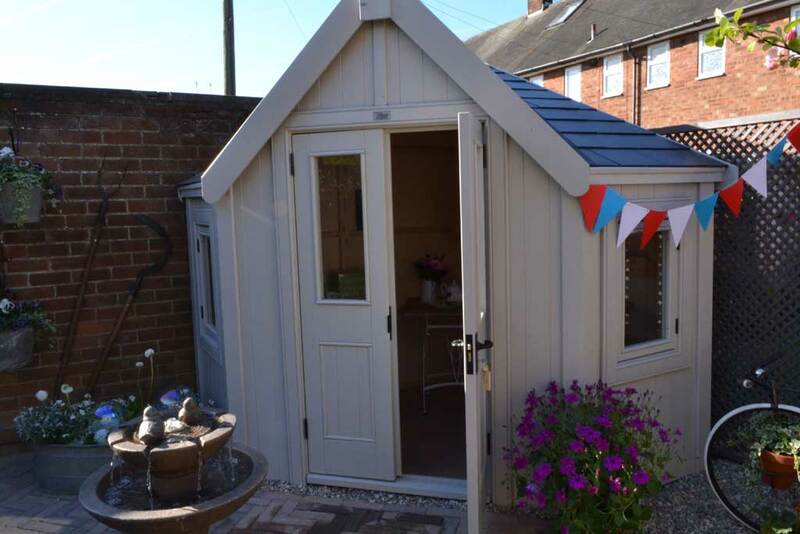 The shed has double doors under a gable end at the front, which creates a stylish and unique look, as well as providing a wider access point to the shed. Single opening casement windows are included on each side of the double door – and the glazing in the door and windows is glass. The door and window furniture are chrome and the team opted for a slate effect roof. As with all Bespoke Posh Sheds, installation and delivery are included in this price. Iris has fallen over twice whilst tending her garden – so we decided to bring the garden up to her, in order for her to tend the garden whilst either standing or sitting. 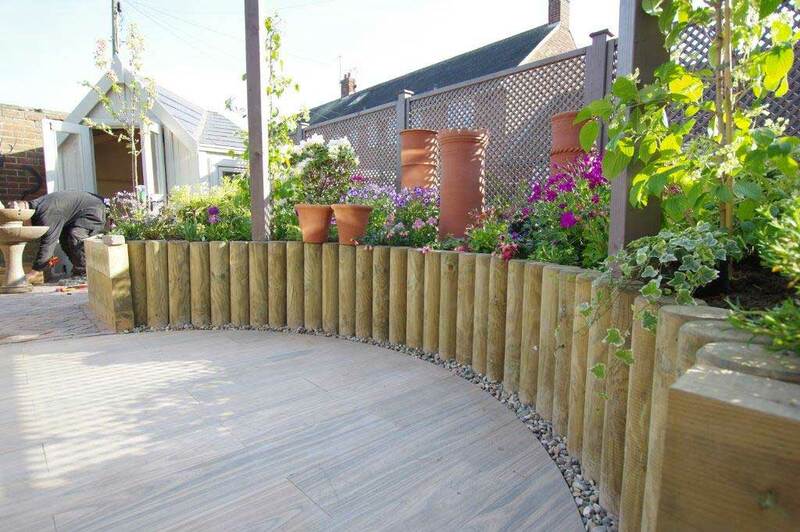 We used sleepers supplied by Clifford Jones Timber Ltd. However as sleepers don’t make very good curves (!) we also used the Clifford Jones landscaping logs to form a nice circle, which abutted neatly to the circular “dance floor”. The Landscaping Logs are supplied with a chamfer and square bottom as standard. 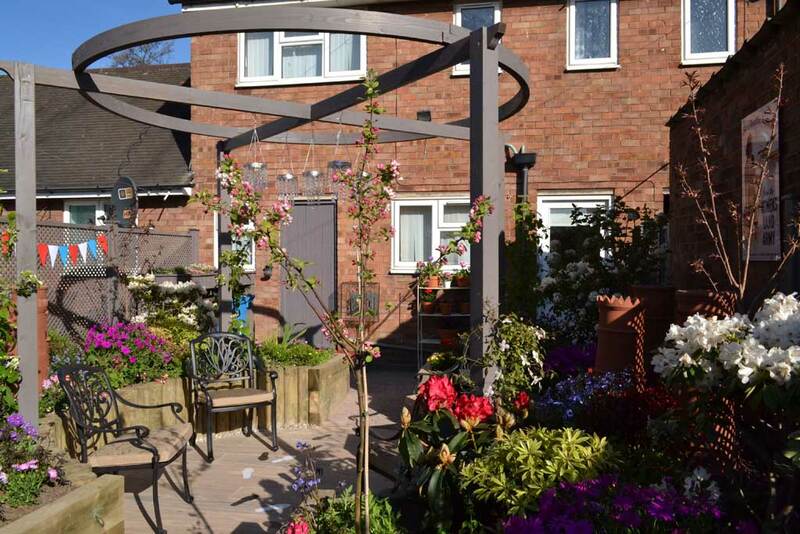 Applications for these timbers could be retaining walls, path edgings, river and canal bank revetment works, bollards, street and garden furniture or even horse jumps and poles. The team needed a pergola to give the garden height. After creating a circular “dance floor”, it seemed logical to mirror the dance floor shape with a circular pergola. The team found the Carousel Pergola by Grange Fencing a simple yet elegantly designed pergola of generous proportions. The traditional carousel shape made this a timeless garden structure, which looked amazing directly above the dance floor. Having the pergola above the dance floor gave the team the option of hanging bunting, lights and chandeliers, to give the garden that extra dimension. Iris’s fencing had seen better days and we knew we needed to replace it, so we decided to use Lilleshall Lattice Trellis, also by Grange Fencing. The timber Lilleshall Lattice Garden Trellis offers a decorative lattice style design with small 20mm lattice gaps. Ideal as a garden privacy screen, this design has a sturdy timber rebated frame. The timber is pressure treated, ensuring years of use – and will greatly assist the espalier fruit trees and climbers we planted next to it.